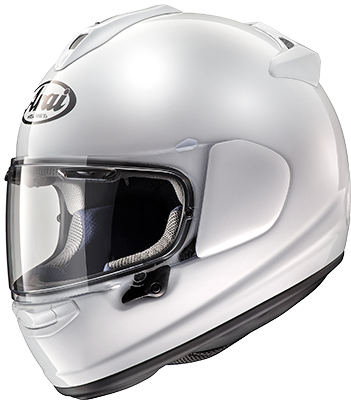 If you have a very small head, or know a woman (in my experience, 99.9% of XS fit women or small children) who may even need a XXS helmet, Arai Helmets has just released a new street helmet called the DT-X. This helmet will feature an intermediate oval shape (most common shape in the US) similar to the Corsair-X and Vector-2. Supposedly it will offer a XXS size, per the website. However, they have the same information for the Vector-2 which was never offered in a 2XS that you could actually order. The only 2XS helmet available to order from them at this minute is the Defiant (although it's currently OOS). I miss my trusty Arai, but it didn't fit me small enough like my Shoei does. I'm hoping if they do offer a 2XS that it'll fit my head! I've always respected Arai and their design / protection philosophies. They defy mainstream expectations and always strive to deliver the most protective helmet even if it means not having the best selling helmet, or the one that everyone thinks is "coolest". I have to mention the Bell Star (Street Star, Race Star and Pro Star) Helmets, because they fit so narrow. I can barely fit my head into an XS (that I can fit into pretty much every XS helmet) and the S fits like a Shoei XS. I'll bet that an XS fits like a 2XS.